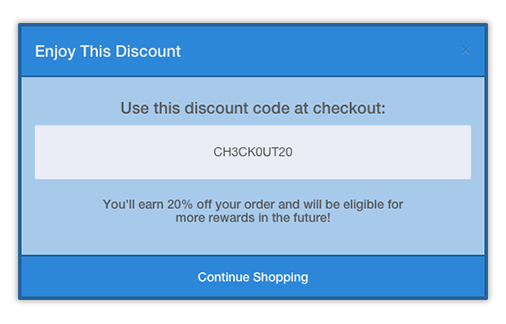 Once you've enabled your promoter offer, each referral link will product a popup with a coupon code of your choice. Letting promoters offer their friends a discount will lead to more referral links being distributed, as well as more customers completing checkouts. You can edit the colors & content of the popup, as well as switch it to a landing page for potential visitors.